Bauchi State governor, Mohammed Abubakar, on Monday met with President Muhammadu Buhari, few days after meeting Vice President Yemi Osinbajo at the Presidential Villa. The governor met with President Muhammadu Buhari over the plan by the Independent National Electoral Commission (INEC) to proceed with the electoral process in Tafawa Balewa local government earlier declared as inconclusive in his state. The governor had come to the villa last Thursday to see Vice President Yemi Osinbajo and the Chief of Staff to the President, Abba Kyari. Speaking to State House correspondents after the meeting with the President, said: “I came to brief Mr President about the situation in my state. “I briefed him on the issues surrounding the inconclusive elections. 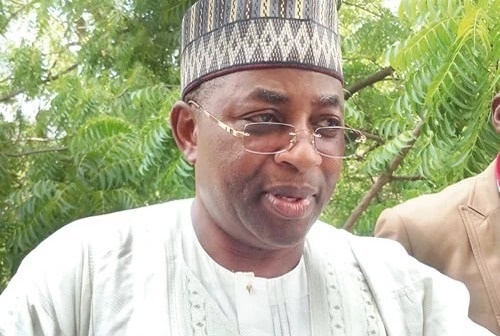 “The Returning Officer for Bauchi State at the end of collation rejected the result of Tafawa Balewa local government and then 36 other units spread around 15 local governments of Bauchi state and ordered a rerun. “Surprisingly, we woke up one morning and the independent and electoral commission came up with a procedure that is not known to law. Because, where a Returning Officer has declared the result, only an election petition tribunal can reverse the result. “But INEC is attempting to reverse itself in the case of Bauchi. And when one juxtapose that of Bauchi and other states with inconclusive elections, one wonders why that is happening only in Bauchi State. Abubakar asserted that what INEC was doing in Bauchi State was illegal as according to him, the returning officer is the final arbiter on collated results. He affirmed that the government was on top of the security situation in the state. He assured that if INEC allowed supplementary polls in Tafawa Balewa local government, Bauchi state, he would win the election. Recall that President Buhari has told his party members that he would not interfere in the electoral process. Senior Special Assistant to the President (Media & Publicity), noted that such party members expected the President to interfere because past Presidents had done so in the past.